This fantastic smile makeover was for a genuinely lovely patient who first came to see Hassan Maan last year having not been to the Dentist in over 30 years. 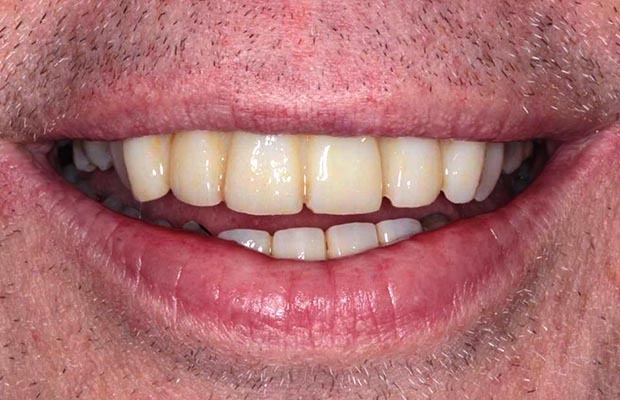 The patient was aware his teeth needed attention, and he finally felt ready and wanted to improve his smile so he could be happy to show it. 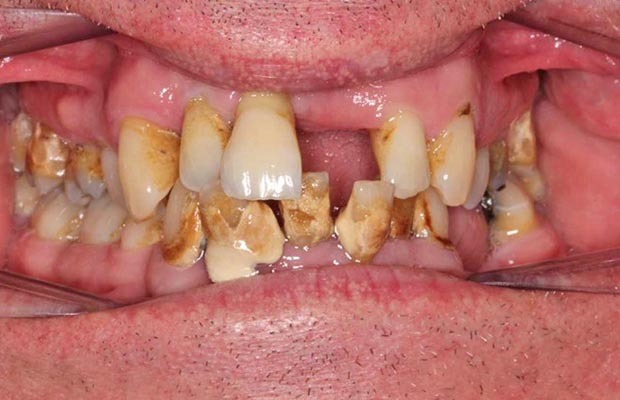 After dental hygiene visits and dental restorations needed to stabilise the health of the patient’s teeth and gums, the patient underwent extractions of the loose teeth that had poor prognosis, and had temporary bridges fitted on his upper and lower anteriors. Post healing of his gums 6 months later, and after wearing prototypes to allow him to ensure he was happy and make any necessary amendments to his bridge, the patient then had permanent dental bridges constructed and fitted. This dental transformation was truly well deserved for this patient and we are all very please with the outstanding results.